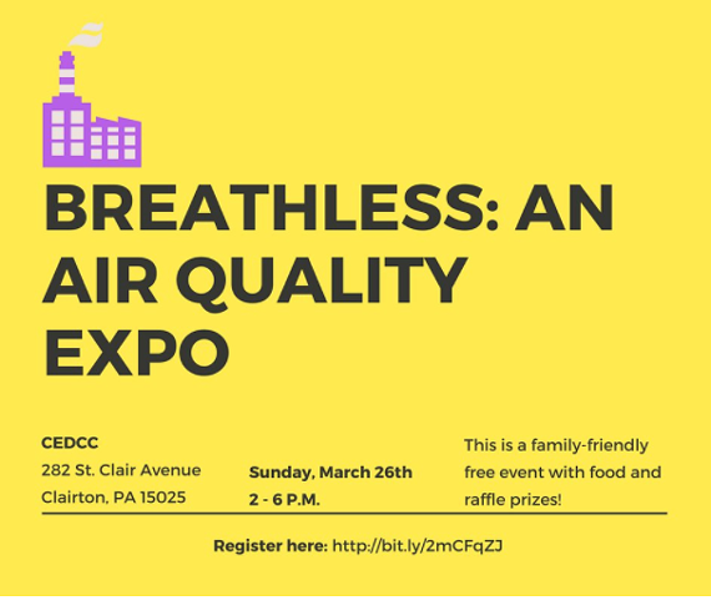 Please join PennFuture, Clean Water Action, and Clean Air Council for our joint event, Breathless: An Air Quality Expo. According to the American Lung Association's "State of the Air" report, Allegheny County received a failing grade for year-round particle pollution. This event will provide concerned citizens with the tools and resources they need to combat poor air quality in their communities. This family-friendly event will have free food and beverages as well as raffle prizes!